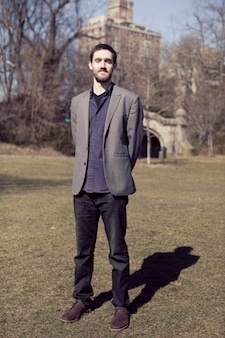 Jacob Teichroew is a saxophonist, woodwind player, composer, bandleader, and music educator based in Brooklyn, New York. He studied classical saxophone with Steven Jordheim at Lawrence University, and jazz with Antonio Hart at Queens College. He attended the Banff International Jazz and Creative Music Workshop in 2013, where he studied with Vijay Iyer and many others. He has performed throughout the United States, Canada, The Netherlands, Italy, and Uruguay. In addition to performing as a sideman and a bandleader, Teichroew teaches music at KIPP Infinity Middle School in Manhattan. He maintains a studio of private students, and he has given clinics at Washington and Jefferson University in Pennsylvania, and at Jazz a la Calle in Mercedes, Uruguay. Download the EPK for Tableaux here.